Select category: On the right side - If all posts are going to the same place then no worries, skip this step! 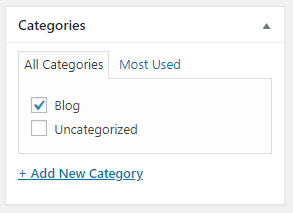 Add a new category: Select 'Add New Category' - Follow steps below under Blog Module: Editing to add this new category to a page section. 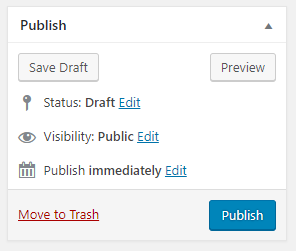 This module pulls in posts from your published posts to a specific location ( Page the module is set up on). If you have multiple categories (News, featured posts etc.) and have them setup separately then each blog module is pulling in a different category associated with that sections posts. 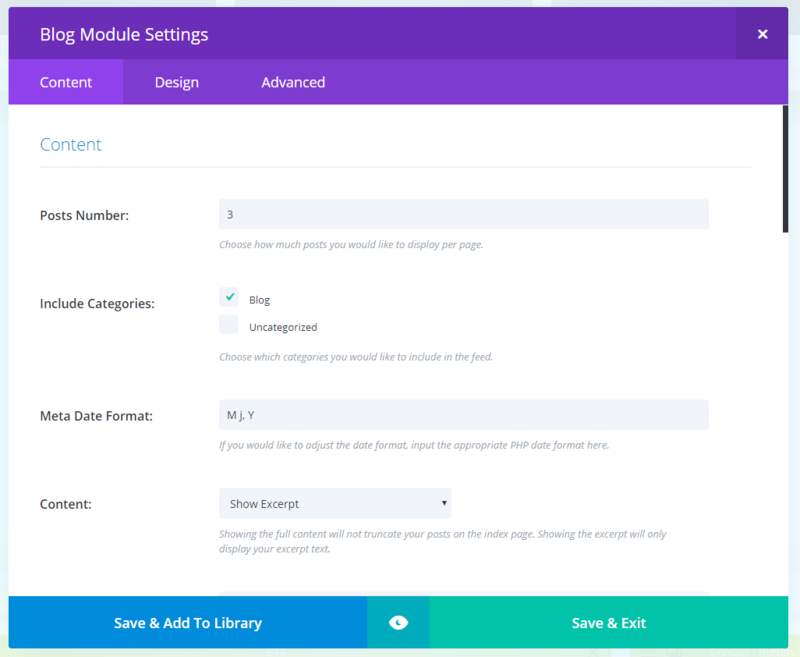 The only time you would need to edit a blog module is if you are setting a new one up or adding a new category to be pulled in. See above notes on how to add new categories. You will see all available categories - Check off the category of posts you want to appear in this location. Save & Update! Need help with styling? Reach out to support@freshysites.com and our Support Team will help you with editing the design.